Marginalized people often struggle to be heard. In order for their voices to rise, those who live with privilege have to make space. But are people in positions of power willing to share that space? Join Unreserved at 6 Degrees Toronto at the Art Gallery of Ontario, to hear Rosanna Deerchild moderate a conversation about power and privilege. Marginalized people often struggle to be heard. In order for their voices to rise, those who live with privilege have to make space. But are people in positions of power willing to share that space? 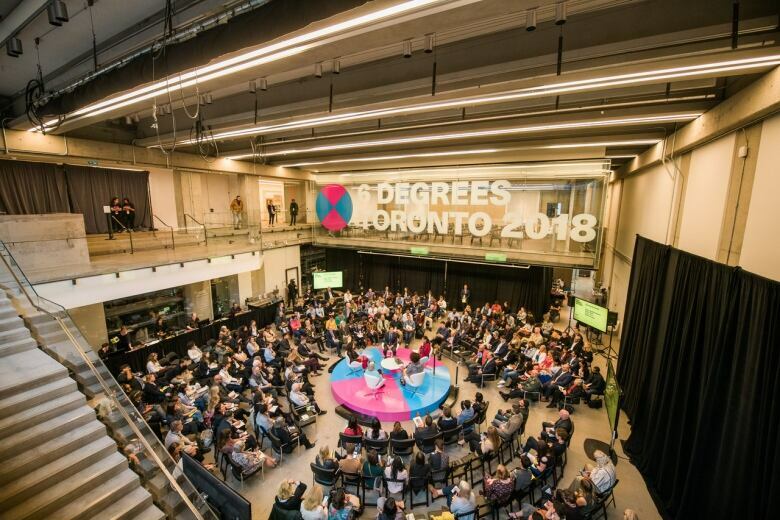 Join Unreserved at 6 Degrees Toronto at the Art Gallery of Ontario, to hear Rosanna Deerchild moderate a conversation about power and privilege. Exploring topics of racism, classism and systems designed to exclude, the panel will challenge whose voices are being heard, and ask how willing are we to make meaningful change? Alexis McGill Johnson, co-founder of the Perception Institute, an organization that uses research and advocacy to reduce racial and gender discrimination. "If you really want inclusion, you have to create spaces where you are centreing the experiences of those who are the most marginalized," she said. 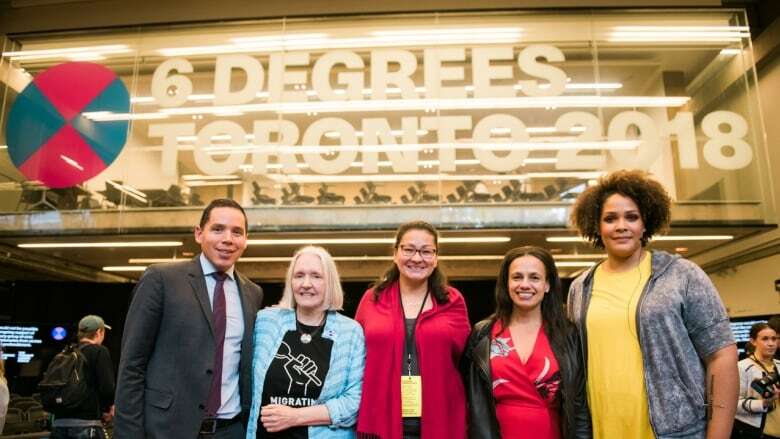 Natan Obed is the national Inuit leader and the president of Inuit Tapiriit Kanatami. In his role, he finds himself having to constantly explain to Canadians who the Inuit are. "We have an amazing story to tell, but often that story is not an easy story to understand, and so it just doesn't get told," Obed said. Author, speaker and self-described "internet yeller" Ijeoma Oluo said she doesn't enjoy writing about race every day. "When we get to this space, we're fighting because we have to, but we shouldn't have to," Oluo explained. "It shouldn't just be the strong of marginalized populations that survive. We shouldn't have to be that strong." Sociology professor Saskia Sassen says she hasn't suffered from exclusions the way that others have, but her experience is different in that she's always been an outsider due to frequent moving and travelling. "The fact of being the foreigner really does play very differently," she said.